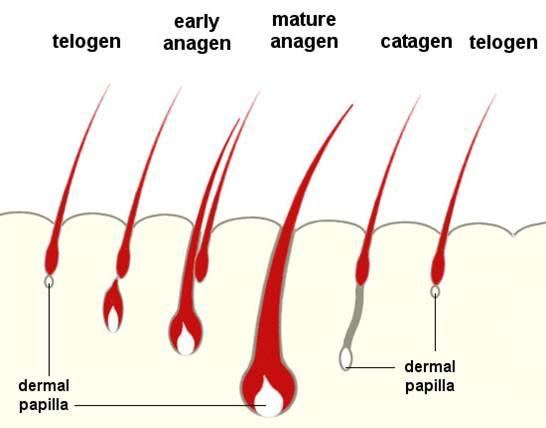 The American Hair Loss Association reports that 95% of the hair loss in men is the result of androgenetic alopecia and the PRP shot is the ideal solution. Women experiencing hair fall as a result of hormone imbalances, illnesses, and other factors can also use the PRP treatment. PRP, acronym for Platelet Rich Plasma is a wonder serum that has been developed after years of research. Originally formulated for use in the field of dentistry, it was found to be highly effective in helping patients recover from root canals and dental implants. In present times, it is increasingly being used to treat patients with a range of medical and aesthetic issues, and hair loss is one of them. The Platelet Rich Plasma procedure for restoring hair loss has been called by different names such as Angel PRP hair regrowth, PRP hair regrowth treatment, and even, vampire hair regrowth plan. Your hair grows in four stages, namely, anagen, catagen, telogen, and exogen. Every strand is at a different stage, and when the cycle is complete, it starts again from step one. The hair strand begins to grow at the hair follicle where it is nourished by a rich supply of blood. This very crucial stage is called the anagen phase and lasts from two to seven years. During this time, your hair grows thick and long thanks to the nutrients it receives from your scalp. With each successive cycle, the duration of the anagen stage becomes shorter, and your hair starts to weaken and become thinner. By getting the PRP shot at this juncture, you can prolong the growth phase and strengthen the follicle. The concentration of platelets and mesenchymal stem cells contained in the Platelet Rich Plasma or PRP shot release these compounds when injected into your scalp and thus, are able to promote the quick growth of hair. In addition, PRP has the ability to create blood vessels in unlikely sections of your scalp and is able to create new hair follicles. In case you have dormant follicles, the serum can also activate them, so they begin to grow. As a result, you’re likely to notice new hair growth along your existing hairline along with thicker strands, richer texture, and denser coloring within 6 to 7 weeks of getting the treatment. As against the use of synthetic compounds and sources, the PRP shot is formulated out of your blood. Your dermatologist, essentially, processes your blood and re-injects it back into your scalp in a purified form. Only the most advanced centrifuge systems are used to develop the serum. The utmost precautions are taken to maintain sterile conditions and the plasma is injected as soon as it is ready to minimize the risk of contamination. In case, you need more than one PRP shot, your doctor is likely to create a fresh batch of the serum each time you come in for a session. You need not be concerned about your body’s immune system possibly rejecting the serum because it is created from your own blood. Although it is processed, it is not modified or changed in any way. You can also rest assured that there is no chance of infections since the serum works to fight bacteria and speeds up the healing process. 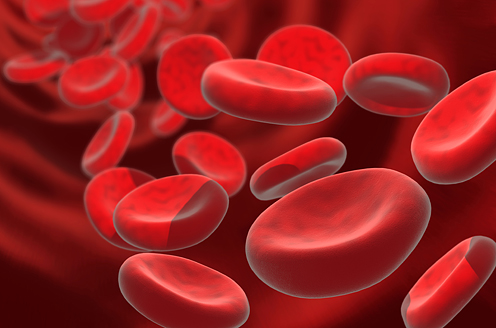 The PRP serum can be created using just 10ml of your blood. When you sign up for the Platelet Rich Plasma or PRP shot, you can expect that the entire session should take you around 30 to 45 minutes. Formulating the serum takes about 30 minutes as the fresh blood sample is spun in a highly sophisticated centrifugal device that separates it into three clearly visible layers. The PRP is a straw-colored, gel-like compound that is injected a few millimeters into the scalp in the target areas. You will not need any anesthesia since the discomfort is minimal. But, you can request for topical numbing agents. Some dermatologists may also administer the pain killers along with the PRP shot. Aside from avoiding touching your hair or shampooing for at least 12 hours, no other precautions need to be taken. You may notice some amount of redness and bruising, but these after effects settle within a few days. You can safely combine the treatment with any other invasive or non-invasive hair loss solutions you’ve been using. In fact, you may be able to see much better results from the DHT blockers, Propecia, and Minoxidil, all of which have been approved by the FDA. If you have opted for hair transplants, you can rely on the PRP shot to help them take root and grow better. Microneedling, and lasers or the LTS Red/Green procedure are yet other treatments that you can safely take along with PRP. You can take the PRP shot once every 6 weeks for about 3 to 4 sessions. Depending on how severe your hair loss issues are, you can also opt to take the treatment once in six months. Rely on the advice, expertise, and recommendation of your dermatologist for any contraindications you need to be aware of. Platelet Rich Plasma or PRP as it is also called is an excellent solution for hair loss and can be safely used by people who are allergic to or cannot tolerate conventional kinds of solutions. A minimally invasive process, it is almost painless and can be taken by both, men and women of all ages. Take the treatment to supplement and boost the effects of any other hair loss treatments that you’ve been taking, and you’ll soon see amazing results that restore not only that full head of hair but also your confidence.